Although Princeton president Ashbel Green condemned slavery on moral grounds, his religious convictions did not keep him from owning or hiring slaves himself—including at least three who lived and worked in his house on campus. Ashbel Green’s life was, from his earliest years, characterized by religious devotion. Green was born in Hanover, New Jersey, in 1762, the son of a Presbyterian minister and a minister’s daughter. In later life, Green would describe both parents as “eminently pious” people who directed their children’s attention toward prayer and Bible study; Green and his siblings were prohibited from discussing non-religious subjects at home, the only “secular business” excepted from this rule being the care of the family’s livestock. In his autobiography Green recalled only one period of his life when his faith wavered: his service in the Continental militia during the Revolutionary War. Green wrote that his fellow officers’ “profane” conversation, “loose practices,” and the Deist ideas Green called “infidel sentiments” led him to question the truth of the scriptures—making Green “half an infidel” himself in the process. Green’s skepticism, however, was short-lived. Renewed study of the New Testament restored his faith, and after the war Green served as chaplain of Congress from 1792 to 1800. Green was a scholar as well as a religious man—although he remained constantly on guard “against the declension of religion in my own soul … to which the pursuits of science themselves may prove a temptation.” He had attended Princeton as a student of John Witherspoon, whom he credited as one of the greatest influences in his life and future career. After graduating as the class valedictorian in 1783, Green was offered a position as a college tutor and continued on as Princeton’s professor of mathematics and natural philosophy until 1787. In 1789, Green was made a member of the American Philosophical Society; his diploma, the editor of Green’s memoirs made a point of noting, was signed by Benjamin Franklin himself. 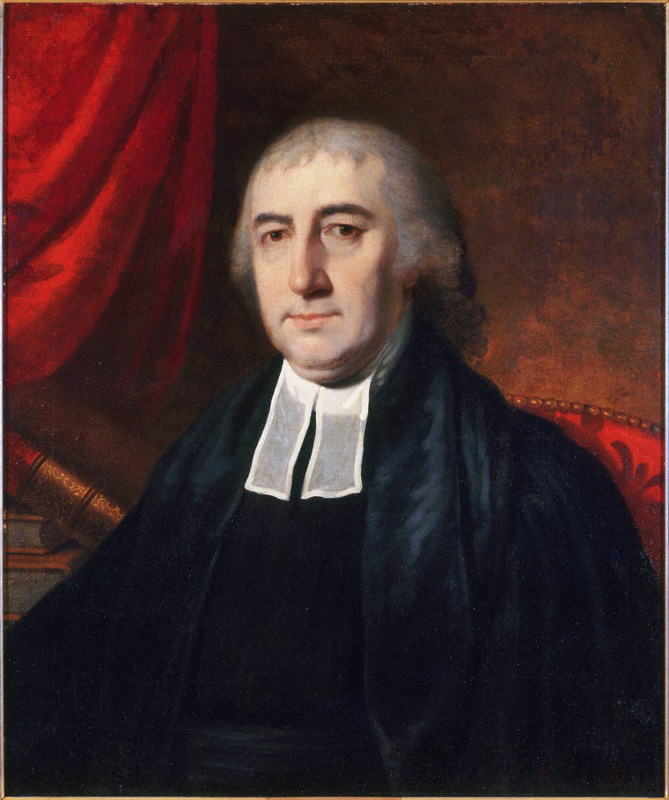 Green resigned his professorship in 1787 and accepted a position as pastor of the Second Presbyterian Church in Philadelphia, which he held until he was named Princeton president in 1812. Throughout his life Green was, as friends described him, “an honest, whole hearted, decided Presbyterian” who took an active part in church government and his community’s religious life. In 1792 he formed a society to counter “the spread of infidel principles”—especially targeting then Secretary of State Thomas Jefferson, who Green believed was patronizing newspapers which published Deist authors. In 1809, Green proposed the establishment of a theological school under the purview of the Presbyterian church; his plan was adopted by the church’s General Assembly and resulted in the establishment of the Princeton Theological Seminary. In 1812, Green was elected president of the Board, and laid the cornerstone of the foundation in 1815. Ashbel Green (1762–1848), Princeton Class of 1783 and eighth president of the University. In 1812, Princeton’s Board of Trustees unanimously elected Ashbel Green president of the college. Green was chosen to reform the school’s religious character after his predecessor Samuel Stanhope Smith was forced to resign; Smith’s emphasis on science and modern languages in the curriculum had left the college “in a most deplorable state” morally speaking, according to Green. As president, Green established a Bible society at the college and held weekly lectures on the scriptures. Green’s changes appeared to influence students. During the winter session of 1814-1815, a revival of religion took place at Princeton—as Green described it, “the divine influence seemed to descend like the silent dew of heaven” over the student body. Before the revival, only twelve of the college’s 105 students had professed religion; by the end of the winter, forty more students had, with an additional twelve or fifteen retaining “promising impressions of religion.” Green’s friends and the college’s trustees considered this, along with a smaller revival which took place in 1817, one of Green’s chief accomplishments as president. Green resigned the presidency in 1822 but continued to play an active part in the Presbyterian church. He served as a minister and supported both domestic and foreign missionary work. Green was elected president of the church’s Board of Missions in 1828, and published the writings of missionaries in his journal the Christian Advocate—most notably the letters of Betsey Stockton, his former slave, who was the first single African American woman to work as a missionary overseas. In May 1818—while president of Princeton—Ashbel Green took part in the American Presbyterian Church’s General Assembly in New Brunswick. At this meeting Green wrote a “Minute on Slavery,” a report unanimously adopted by the assembly, published throughout the country, and cited as the opinion of the church for decades after. Green’s report condemned slavery on moral grounds, but fell short of advocating immediate emancipation and refused to censure the many church members (including Green himself) who owned slaves. Green’s “Minute on Slavery” denounced the practice of buying, selling, and owning slaves as “a gross violation of the most precious and sacred rights of human nature” as well as “utterly inconsistent with the law of God, which requires us to love our neighbor as ourselves.” Green recommended that the church promote the religious education of enslaved people and discourage members from selling slaves to masters who would withhold religious instruction—or who lived in states where the education of slaves was prohibited by law. He protested the practice of separating enslaved husbands and wives and parents and children, but reserved his strongest censure for masters who sold slaves who were themselves “in communion and good standing with our Church.” This was the only case for which Green advocated suspension of a church member. On the whole Green’s report exhibited sympathy for slave-owners, placing much of the blame for slavery’s existence on “the errors of former times.” Although he considered slavery an evil practice, Green did not believe immediate and universal emancipation would be either practical or beneficial—writing instead that uneducated, irreligious slaves would only “destroy themselves or others” if emancipated before they were prepared to exercise freedom. Green further believed that emancipated slaves and free-born African Americans would fare better in “the land of their ancestors” than in the United States, and recommended that church members financially support the American Colonization Society. Had a most uncomfortable time with my servant John. I had to whip him. On the whole I desire to be thankful that I was carried through it with as little to regret as I have. Ashbel Green’s “servant” John was one of three slaves we can identify by name who lived and worked at the President’s House (later called the Maclean House) while Green was president. In June 1813, eight months after moving to Princeton, Green wrote in his diary that he had “purchased the time of a black boy and black girl” from the executors of a recently deceased woman’s estate. The boy, John, was twelve years old at the time, and the girl, Phoebe, was nearly eighteen. Although New Jersey had previously passed a gradual emancipation law, the statute only applied to enslaved children born after 1804. John and Phoebe’s birth years (1801 and 1794, respectively) excluded them from the law. Green may have made an informal arrangement with the two young people, however, as he wrote in his diary that both of them were to be freed at the age of twenty-five. Green further noted that “I told them both that if they served me to my entire satisfaction and that of my wife, I would give to each of them a year of their time. Otherwise I would not give them any.” Phoebe most likely did cooking, housework, and helped care for Green’s infant son Ashbel. By age twenty, John regularly drove Green and his sons in their carriage; he probably also worked in the President’s House, judging by an incident Green records in which John found five dollars in his study and returned it to Green. Phoebe is not mentioned again in Green’s diary after 1813, so it is uncertain when or if Green freed her; John appears in the diary until at least 1821. Ashbel Green appeared to prefer hiring enslaved people or indentured servants rather than purchasing slaves outright. In January 1787, while Green was teaching mathematics at Princeton, a servant named William Williams joined his household. In September 1786, William’s mother Susanna had indentured him to twenty-four-year-old Green for a term of eleven years (or eight years, if Susanna decided that “it would be more for the advantage and interest of the s’d William to learn a trade”). Susanna agreed that her son would “well & faithfully serve his s’d master, his secrets keep, his lawful commands gladly do,” refraining from gambling, excessive drinking, or marrying during his term of service. In exchange, Green would provide William with room, board, clothing, and—perhaps most significantly for Susanna, who could only sign the contract with an X—an education in “reading, writing, & arithmetic.” The indenture made no reference to the race or former legal status of Susanna and William Williams: they may have been freed slaves or free-born African Americans, or they may have been white. But Green did make a habit of hiring black servants, whether enslaved or free. 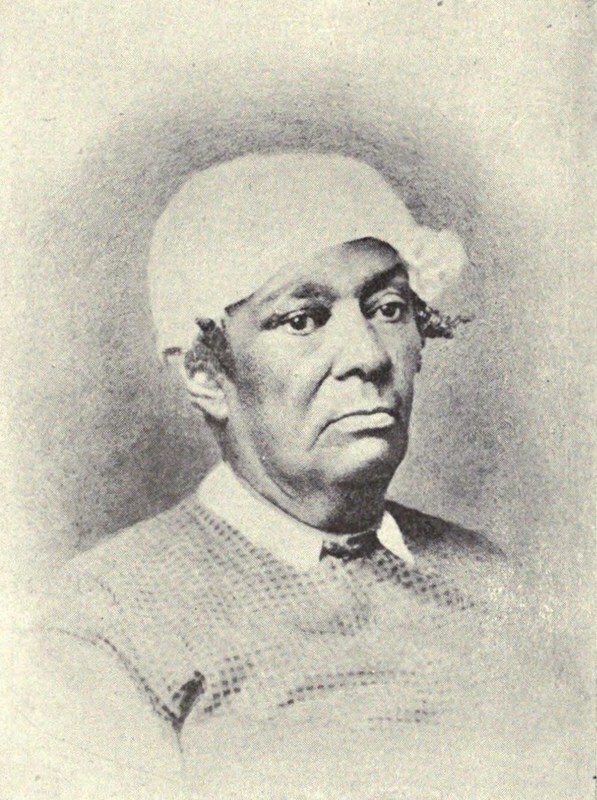 In 1812, Green wrote that he had visited a man in Gloucester, New Jersey, “to get a boy to live with me”; that fall, he noted that he, his wife, and his youngest son were accompanied to Princeton by his “servant maid and black boy.” Regardless of her race, Susanna Williams likely believed that indenturing her son to the young professor would give William the skills and connections to make a better life for himself. Betsey Stockton, once held as a slave by President Green, became the first single female missionary to Hawaii. Ashbel Green and Joseph H. Jones, The Life of Ashbel Green, V.D.M. (New York: Robert Carter and Brothers, 1849), 18-20. Green and Jones, Life of Ashbel Green, 481. Green and Jones, Life of Ashbel Green, 546. Diary; 9 December 1860; Princeton University Library Collection of Ashbel Green Materials, Box 1 Folder 1; Manuscripts Division, Department of Rare Books and Special Collections, Princeton University Library. From 1822 onward Green wrote his diary in a form of Taylor shorthand, the text of which has not yet been deciphered. Indenture; 1786 September 22; Princeton University Library Collection of Ashbel Green Materials, Box 13 Folder 7; Manuscripts Division, Department of Rare Books and Special Collections, Princeton University Library. Diary, 25 July 1812; 29 October 1812. Green and Jones, Life of Ashbel Green, 326.